In many remarkable ways the Home Routes experience owes its existence to the theoretical footprint of the Chautauqua traveling shows of the late nineteenth and early twentieth century. 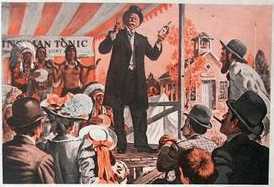 In the time before radio the Chautauqua was the cultural conduit between the urban east and the rest of North America. Tra veling by horse and wagon, the Chautauqua was “The Medicine Show” bringing the latest in show tunes, science, the gospel, fashion, snake oil and whatever was the latest invention for the modern kitchen. 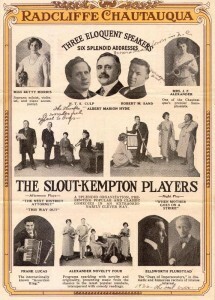 Almost every community had a “Chautauqua Society” laying the ground work locally and producing the show. The arrival in any rural community of the annual Chautauqua was a big event that was celebrated across the continent and even today, almost a hundred years later, the word “Chautauqua” still reverberates in existing concert venues and in cultural and educational institutions. The traveling shows disappeared as radio and the movies grew in prominence and those mini extravaganzas became a wistful lingering memory in North American history. 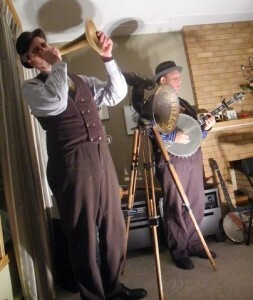 The modern folk music “House Concert” was born out of necessity in the 1950’s at the time when the folk “boom” began. 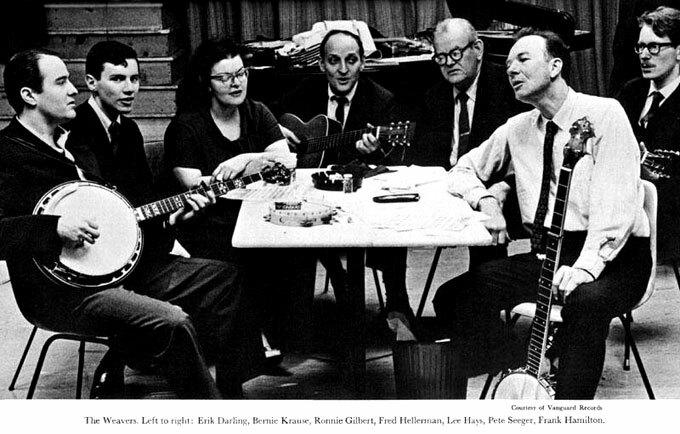 In 1952 The Weavers, Pete Seeger’s folk band, had a number one radio hit with Leadbelly’s “Irene Goodnight” and the song ignited a mini folk song revival; suddenly folk music was popular. City people started buying banjos and guitars and fiddles and began to learn the folklore that country people were born with and they began to create new songs about the world as they saw it then and ever since. Just when it appeared that folk music was about to become “popular”, McCarthyism hit and that drove Seeger and others off radio, out of the clubs and out of the concert halls. 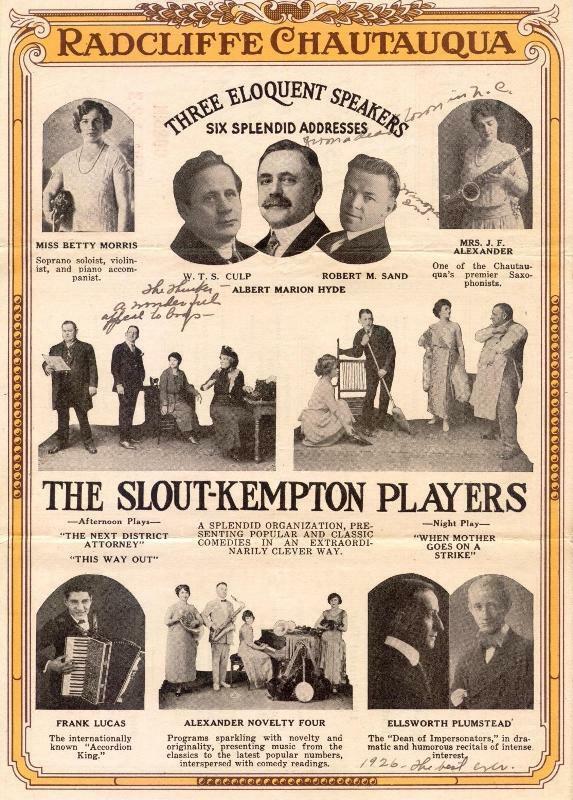 Even without the politics creating consternation, there simply weren’t enough places to play for all the young and enthusiastic men and women who, having been inspired by the Weavers, decided that being folk musicians was for them. So the grass roots invented a grass roots solution to the problem. 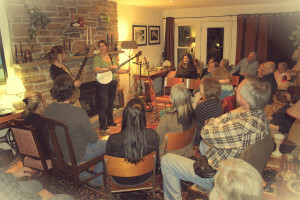 People discovered that their living rooms made fine venues for acoustic music and began what has turned out to be a long tradition of home based intimate presentations of folk music. What has been consistent has been the extraordinary level of excellence. By the sixties the original need of providing performance places for the political artists was no longer there, but the house concert infrastructure was in place and it began to mutate to include all of folk music. Home Routes is a rough amalgam of these two historical approaches formulated and delivered with respect for all the work that went before we came along and re-kindled these excellent ideas. The volunteer hosts, like the Chautauqua Societies before them, play the role of community cultural animator. The musicians, like musicians and vaudevillians have for all time, get to work and play for these very special networks of vibrant committed people. The inter relationship between performer and host provides community after community with access to a brilliant array of artists. There is a trade off inherent between the parties, the artist brings their musical skills and the host contributes the effort to bring out an audience. One doesn’t work without the other. The thought of “circuits” of house concerts flows logically from the experience of the Chautauqua and equally from the current needs of the communities and of the artists. It’s a win-win scenario for everybody involved. Much of the Home Routes team previously worked representing artists. In that capacity we kept running into the basic fact that the infrastructure for folk music specifically and non-pop music generally couldn’t support the number of great artists that were actively pursuing careers, never mind the upcoming generation. We started seriously talking about this looking for some way to deal with the dilemma of loving folk music and the need to make a living. A very well established Canadian songwriter in a casual conversation with Mitch Podolak said that if he could line up all the good winter folk gigs in Canada for a sequential tour it would take him seven weeks coast to coast. “What” he asked “do I do with the rest of the year?” “What indeed,” we thought. Home Routes is entertaining and exciting but it’s also a profoundly serious attempt to re-design the infrastructure so that enhanced community access to live music meshes perfectly with the needs of our emerging artists. Live music beats anything. Contact with your friends, family and neighbours are better than anything we know. Being the community spark, the animator, the motivator, can be an extraordinary amount of fun.